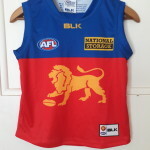 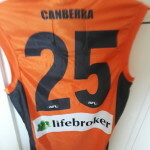 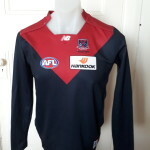 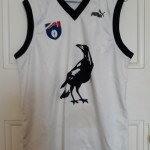 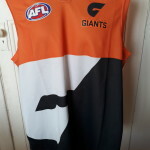 Over a period of time AFL clubs have evolved the use of special football jumpers, jerseys, guernseys to commenorate significant events in the clubs history. 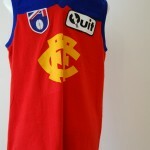 Originally confined to the home and away clash series of jumpers, now they are used for celebrations, special matches, fundraisers and to draw attention to specific causes. 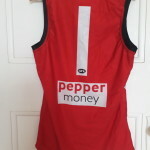 Stkilda have played in a purple guernsey to highlight captain, Nick Riewoldt's sister Maddie, and her fatal battle with cancer. 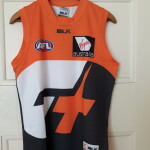 All clubs have participated in the Dreamtime series of guernseys to show respect, and honour the contribution that indigenous players have made to AFL football. 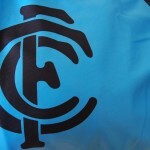 Carlton Football Club started the trend of wearing non traditional jumpers back in 1997, when they donned a light blue guernsey, to celebrate the launch of a new flavour of M&M. 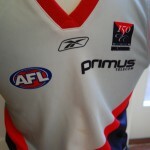 They were a CFC sponsor at that time. 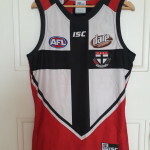 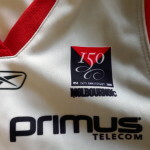 Anzac day matches have been addressed by the clubs wearing an Anzac insignia or logo on the front of the guernsey, as worn in the Saints versus Swans, Anzac day game in New Zealand. 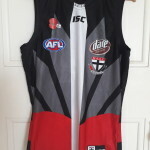 Collingwood and Essendon have a badge on the front of their guernseys to commenorate the diggers for their epic Anzac day clash at the MCG. 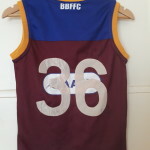 Media, players and commentators welcome this to avoid on field confusion.